It is in the interest of both landlords and tenants to ensure the high level of cleanliness when the tenancy is due to end. Tenants wish to secure their deposits prior to moving out of the rented property. Landlords strive to provide a cosy and clean environment for future tenants which will also help them rent out the property within a short deal of time. No matter on which part of the deal you are, booking professional end of tenancy cleaning service is a necessity. There are many disadvantages of doing the final cleaning on your own. Yes, you might be the master of the situation but the whole process would probably take you much more time having in mind all the others task you have to deal with at that point. 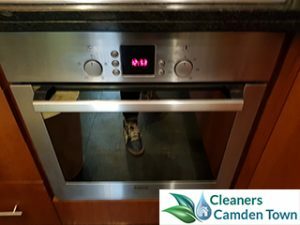 Another thing is that you do not have access to a specialised cleaning equipment which means that you will not be able to remove some of the toughest stains. You probably do not have experience in dealing with real estate agents and landlords, too, so you are not fully aware of their expectations. On the other hand, if you decide to trust our company and book our end of tenancy cleaning services, you will be able to enjoy a hassle-free moving out. We are a professional cleaning company that offers a number of services. 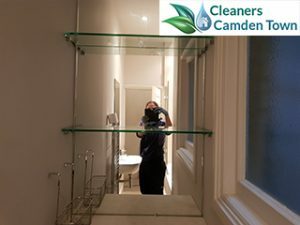 We take great pride in our end of tenancy cleaning and we are ready to provide you with exceptional cleaning sessions which will ensure the highest levels of cleanliness. Booking our end of tenancy cleaning will save you a great amount of time and money. Get in touch with our call centre operatives right away. They will advise you on the most advantageous and economical packages which will suit your requirements and budget. We believe that we are second to none in Camden Town. We are provided with the most modern cleaning equipment which consists of environmentally responsible products and tools. You can be sure that they are absolutely safe for your family and domestic pets. Each of our packages is fairly priced. Hurry up and avail yourself of our tempting offers. We command teams of trained and experienced individuals who are aware of what is currently in the trend. They have perfected their cleaning sessions and will provide you with nothing less than perfect cleanliness. They are motivated to do everything in their power in every task they undertake. They work in an organised manner and will not miss even the smallest details. Our goal is to make every tenant, landlord and letting agent satisfied with the provided outcome. Make sure to choose us because we are your best alternative. Deep cleaning the shower cabin, shower heads, bathtub, taps, etc. 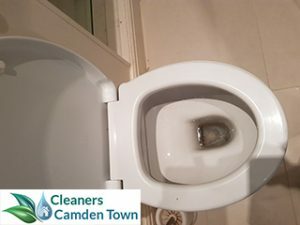 We are one of the leading cleaning companies in Camden Town and our end of tenancy cleaning services are favourite choice for hundreds of tenants, landlords and letting agents. Make sure to contact our kind and polite customer care service representatives at your earliest convenience. They will introduce you to our cleaning sessions and will answer all of your questions. If you count on us and book our end of tenancy cleaning services, we will take the burden off your shoulders, leaving you with pristine home and more free time for all those things that actually matter.